I am so pleased to have Megan Peterson on today’s episode of the podcast. Megan is the founder of the 2nd Chance Counseling Service, an online addiction therapy service. A degree in Criminal Justice doesn’t usually lead to a counseling role, but that’s exactly where Megan found herself while working at a maximum security juvenile service facility. Her natural empathy and compassion for others was such a perfect fit with counseling that she began to thrive in the role. After having children of her own, Megan found herself experiencing a major bout of burnout, and at the same time she was being recruited by a pharmaceutical company. She quickly went from making very little to making a huge amount of money, but her family was struggling with a large amount of debt. The hours spent caring for all of their possessions was weighing heavily on Megan and her husband. They wanted to spend more time with their kids and less time working to pay off debt and maintaining all the things they had purchased, including a large house on 2 acres. So they sold it all. They sold the house and most of their possessions, bought a 42 ft RV, and have been living on the road full-time for over 2 years. Megan’s personality and love of what she did had her wanting to continue working while traveling, and so she decided to do counseling for those people who were addicted to the drug she sold while at the pharmaceutical company. 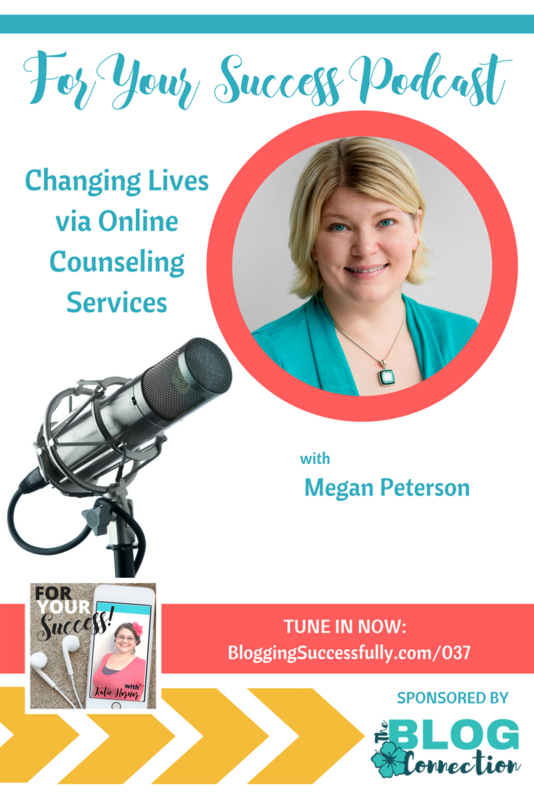 She was making such a difference that people were encouraging her to grow her counseling business to a larger scale, but Megan was afraid. She wasn’t sure how to make it work while on the road. She did eventually make the decision to try it after her husband gave her some tough love encouragement to do it. Megan has now taken the business to the point that she has others on her team, offering counseling services under her leadership. This role has proven very challenging for Megan, as she hadn’t ever done it before. Again, her compassion for others guides her as she brings on more team members and tries to meet the needs of those working with her. Megan admits to feeling an almost overwhelming sense of responsibility for those who work for her. She is blessed though, she says, that all of her team members are as passionate about helping others as she is. The feedback she receives from them about their patients and how they’re impacting them is what keeps her building the business. Not every change to leading a team has been a positive one though. Megan and her family sold everything they had to travel and live a very different lifestyle than the one they had been living. Building a team has required them to go into debt again, and it isn’t a comfortable place for them. 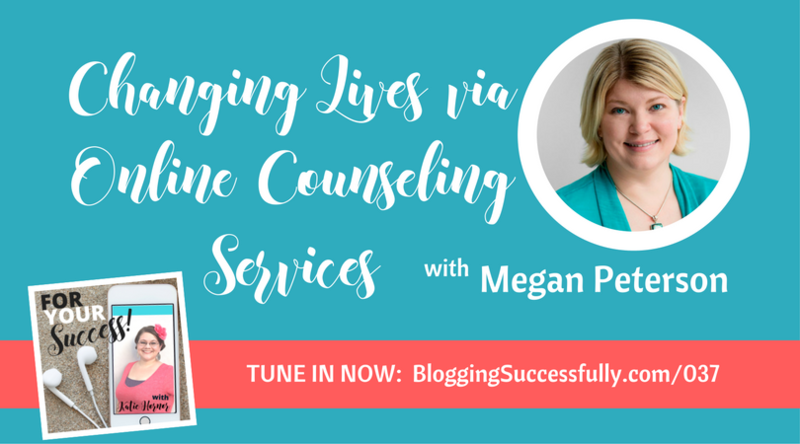 *Be sure to listen in to the episode to hear Megan explain exactly how and why she does therapy online. 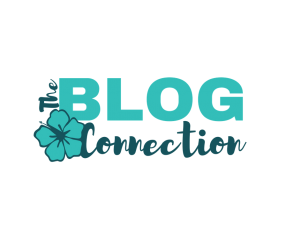 Megan is still in the building stage of her business, and she has already told us that they are taking on financial debt again to grow this business, so what does success look like at this stage? All of us have that something that lights us up, but sometimes our culture tells us that our passions are wrong. If you got a degree and you want to do something else, you’re told that you wasted your time and money. Don’t be afraid to do the thing that brings joy to your life, even if it means you make a very modest living and don’t have all of the things this world says you need. Follow the things that you have a passion for, in spite of the naysayers, the outsiders, or even your own family members and friends.